Flemming Jørgensen, Innovation Manager, in front of Gate 21’s new office building – which in itself is a demonstration project for a connected + intelligent ceiling (developed by our partners Cisco, Philips & TDC). Experienced project developer & LUCI board member joins Lighting Metropolis. We welcome Flemming Jørgensen as Innovation Manager for Lighting Metropolis, as part of our secretariat at Gate 21 in Albertslund. 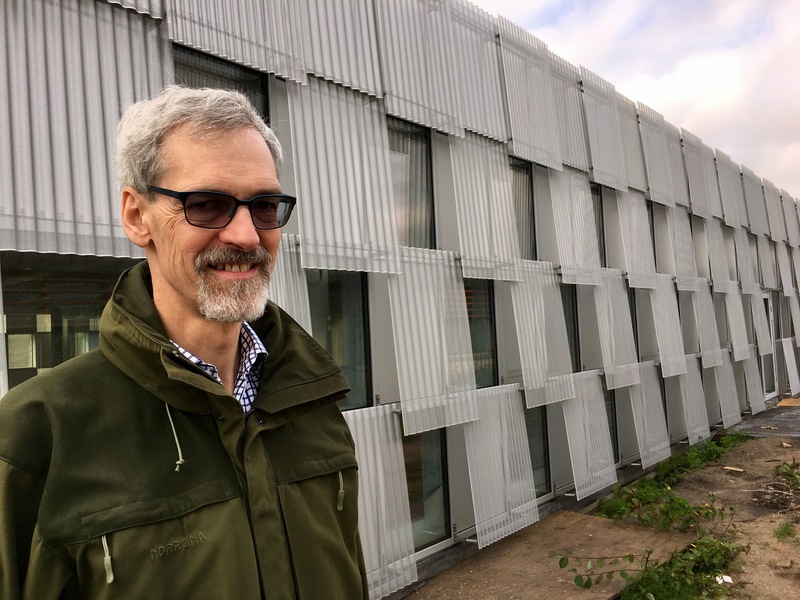 He replaces Catja Thystrup, who starts at the Danish Center for Lighting (more info about her new position to follow shortly). Flemming has worked with project development for a number of years, as well as managing regional energy saving programs for public buildings and street lighting. He is also board member of LUCI; the international network bringing together cities and lighting professionals engaged in using light as a major tool for sustainable urban, social and economic development. Flemming joins our project in an exciting time of rapid project development and network expansion and will together with the recently joined Fredrik Malmberg focus on the completion of our 25+ demo projects, which, when connected as part of our project’s storytelling, will make up a world-leading living lab in Greater Copenhagen.